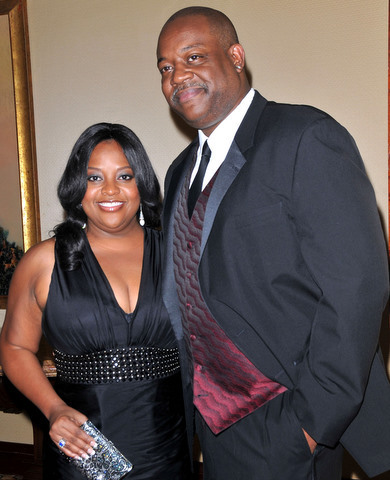 Sherri Shepherd and Lamar Sally Separating over Alleged Cheating? *The New York Post’s Page Six and the UK’s Daily Mail tabloid are reporting that Sherri Shepherd and her husband of three years, Lamar Sally, are going through a separation. The Daily Mail took things a step further and claimed the source of the breakup could be accusations of infidelity against Sally. A source told MailOnline that after the couple’s wedding in 2011, there were reports that he was romantically involved with a woman who was a close friend of the family. According to the tabloid, she was even a part of the couple’s wedding party, and Shepherd had no idea they used to be lovers. Sally is reportedly back in Los Angeles, while Shepherd is in New York for “The View.” Neither party has put out a statement regarding the separation reports. Shepherd and Sally married only year after dating. The couple were said to be trying to have a child together, but due to Shepherd’s fertility issues, surrogacy became an option. She divorced her first husband of eight years, Jeff Tarpley in 2009, after she found out he was having an affair. something is always wrong with her,im not surprised……. I too am not surprised. On the show, she NEVER referred to him with any respect due a husband. Typical female with controlling issues. Sorry it didn’t work out but not surprised. Okay! It sank in, and your point is pointless. POOR SHERRI SHEPHERD CANT SEEM TO HOLD ANY HUSBANDS. IT’S VERY LIKELY SHERRI’S I’M BETTER THEN YOU PERSPECTIVE. I’m having trouble remembering what she does. Why is she a celeb? Wait, Sheri Shepperd married Reginald VelJohnson from “Family Matters”? I thought he was gay and died last year? James Avery, who played Phillip Banks is the actor who died and is allegedly gay. I’m surprised, but IF he’s a louse, and going back on his word about being a dad to her son, and if he is so lazy he just sits around the house .. why SHOULD she stay with him? Life goes on … and is not built around dirty socks and underwear on the floor. Good for you Sherrie. First he was the best husband to her in the world and then she found out he cheated and that’s why she was talking disrespectful about him he really played her and now he wants spousal support he wants to take the baby so he can get paid for the next 18 years I thought he was gay, he is such a loser ,and he don’t have any money but he’s got one of the best the lawyers to get her money that’s why he’s back in California to try to fight the prenup that they got in the beginning . I’m so sick of people trying to get yo money M.F.get your own . You said that right! He’s BROKE so he wants her money! What a loser! She should have never married that broke a… man in the first place. Wanting something he didn’t work for not even the child he’s trying to get. What a loser of a guy!